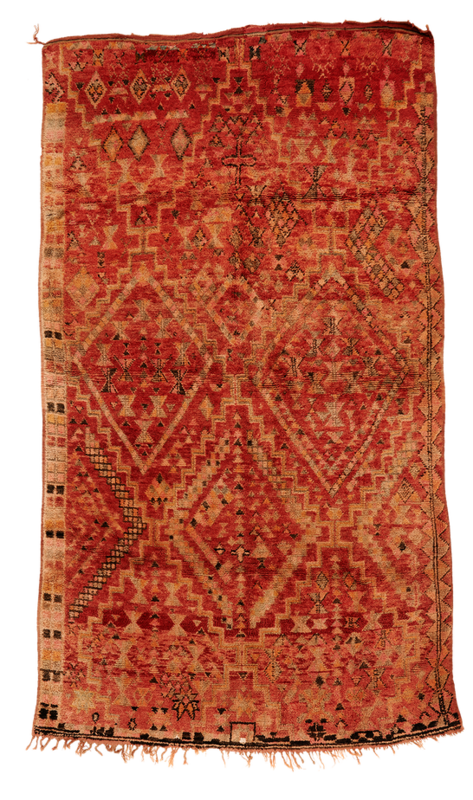 This wonderful Moroccan piece has a nested diamond pattern throughout and exhibits Berber motifs through its use of ancient symbols. 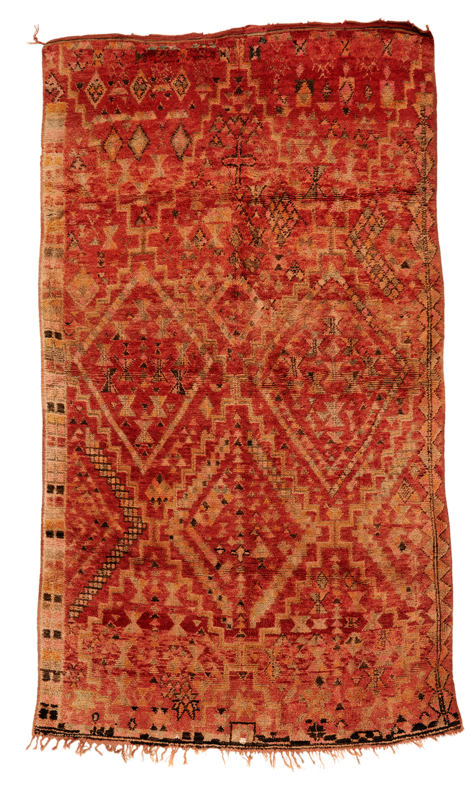 Knotted in shades of red and terracotta obtained from natural dyes. A flatweave band with some selvage wear on one edge.